How to you find someone who is good? The world of Aesthetics changes very fast. It's important for practitioners to stay up-to-date with changes and injection techniques for new fillers on the market. Weekend course in injectables is not going to make an expert. There are risks such as adverse reactions and remember bad things can happen to even the best MD or RN. Your injector must know how to treat any filler related emergency. 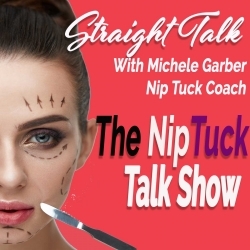 MK Maloney, shares her expertise on how to use Fillers, such as Juvederm, Restylane, Sculptra, costs and advice on how to choose the best injector. MK Maloney RN CANS is a highly respected board certified aesthetic nurse injectable specialist who has worked nationally and internationally in the aesthetic industry since 1995 with world-renowned celebrity dermatologists and plastic surgeons.